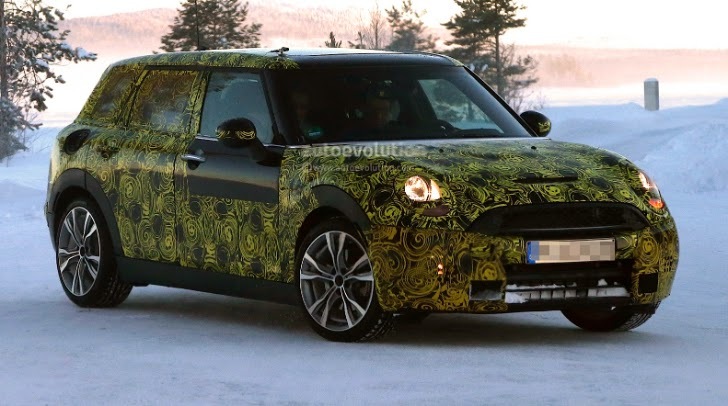 MotoringFile reports that high-level sources have confirmed the Mini Clubman Plug-In Hybrid will be all-wheel drive in at least one configuration. The 2016 Mini Clubman Hybrid will have a 1.5L three cylinder lifted from the F56 Cooper powering the front wheels. 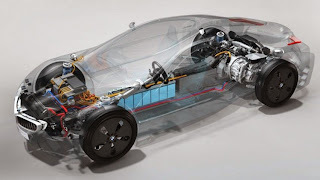 Integrated into that will be a plug-in hybrid system (likely derived from the BMW i8) powering the rear wheels only. Think of it as similar to the all-wheel drive i8 powertrain layout but reversed. The system that BMW has shown in concept form (and has been testing for years in R55 Clubman mules) has an output of approx 140 kW / 190 hp. With a fully charged battery, the electric only range should be over 30 kilometers giving the Clubman Plug-In Hybrid the ability to be in 100% electric mode for the majority of day-to-day trips. 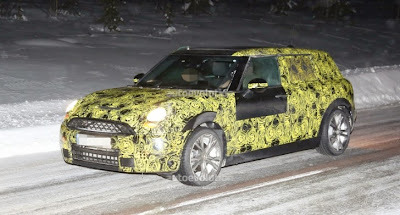 The Mini Clubman Hybrid will likely debut around the same time as the Clubman itself, in the second half of 2015.